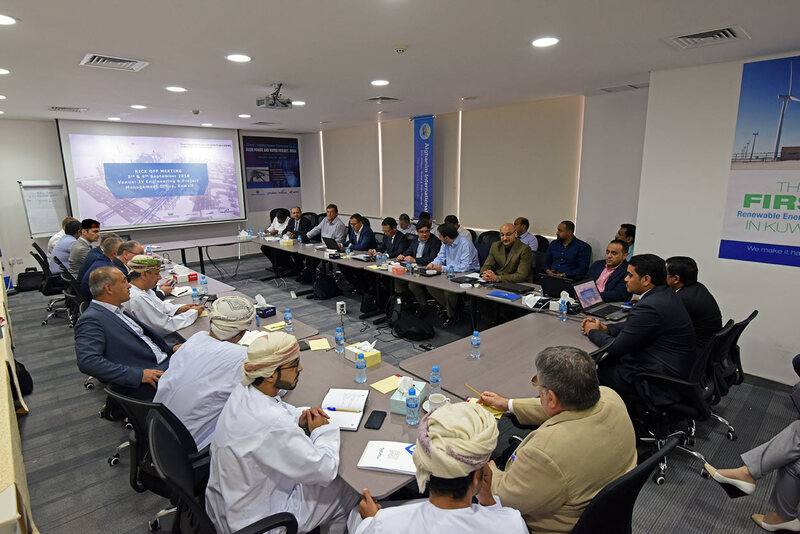 Project Kick-off meeting for DUQM Power and Water Project, Oman, Contract No. : DPC/C010/2018. The meeting was held in Alghanim Int’l offices in Kuwait on 3rd & 4th Sept 2018. The project’s scope of work consists of a natural gas-fired 300 MW combined cycle power plant integrated with a 1,500 cubic meters per hour seawater reverse osmosis (RO) desalination plant located at Duqm Special Economic Zone, Duqm, Al Wusta, Oman. The project includes a marine intake structure, seawater pumping station, seawater supply, return channels and beach well system.